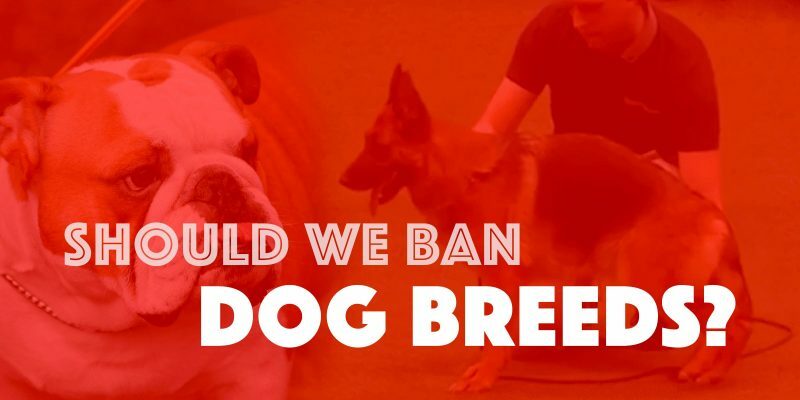 Should We Ban Dog Breeds? So, Are We Banning Dog Breeds? The Kennel Club is the official body organizing Crufts, the World’s largest dog show. 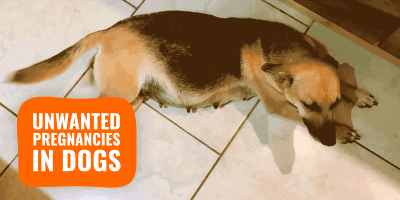 The last edition in March 2016 has received thousands of complaints sent by mail, email and social media following the footage of Cruaghaire Catoria, a German Shepherd that won the Best of Breed title with a sloping back and what seems to be a deformed gait. 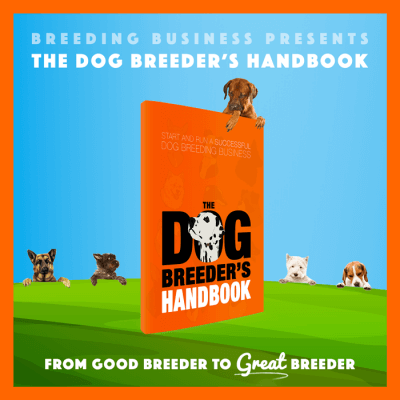 You guys know where we stand here since you’ve been reading us for years; so we decided to let another specialist delve into this massive issue of what dog breeders do wrong. We let all kinds of breeders express their opinions here at Breeding Business but we also want, from now on, more academics and specialists’ inputs. Many pet-focused organizations currently believe nearly three-quarters of pets come from breeders. 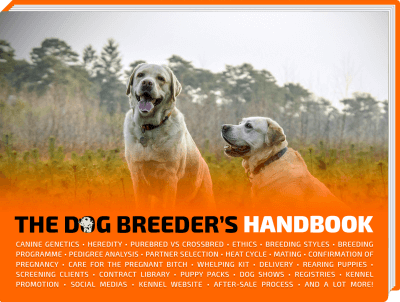 The first issue that needs to be addressed is the difference between different breeders. Not all dog breeders are equal. Similarly, just because a dog breeder is licensed does not mean the breeder is responsible or has the best interests of the animals in mind. Responsible breeders will not sell their animals to anyone upon inquiry. They will encourage you to visit them and show you the space, breeding animals, and want to get to know you before agreeing to sell. Responsible breeders will have a strong working relationship with a reputable veterinarian in the area and will be willing to provide medical history on the animals. One of the main concerns of breeding dogs centers on the limiting genetics to main a purebred status. This limitation of genetic fluctuation has the potential for many breeds to carry genetic disorders. 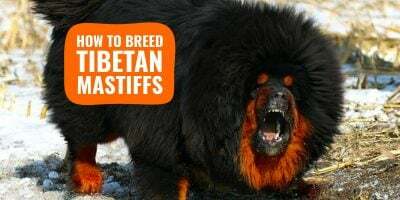 Breeders who are responsible will usually test for any genetic disorders or be willing to inform you of common diseases seen in the bloodline. Often times, desired traits in a breed are selected for appearance rather than function. Some of these desired traits often create health concerns for individual animals that require costly veterinary maintenance. Some of these physical traits also prevent dogs from properly communicating non-verbally with humans and other dogs — which leads to cases of aggression resulting in biting. One practice that is still common includes tail docking and ear cropping, which is currently opposed by the American Veterinary Medical Association (AVMA). The AVMA believes tail docking and ear cropping has direct implications on animal welfare. This organization, along with many other professional veterinary organizations around the world, does not believe there is enough evidence to support the practice. There also is the issue of pet overpopulation in the United States. Is it socially and morally responsible to continue breeding animals when there is evidence to support the United States has a pet overpopulation problem? The ASPCA has data to show 1.2 million pets are euthanized in animal shelters each year, primarily due to the lack of resources that are available to support these pets finding a new home. In general, it is best to consider adoption from a local rescue or shelter agency in your community. If you do choose to utilize a breeder, gather as much information on local breeders as possible. Speak to your veterinarian or local behaviorist for referrals to a breeder they trust. Supporting sub-standard breeding operations is never acceptable. If you do encounter what you believe is sub-standard care or practices, it is best to speak with your local animal control agency about the situation. Brian Ogle, anthrozoology instructor at Beacon College, FL. Brian Ogle is an anthrozoology instructor with specialties in zoos, aquariums, animal shelters, human-wildlife contact and pet/animal ownership at Beacon College in Leesburg, FL, the first accredited college to award bachelor’s degrees exclusively to students with learning disabilities and ADHD. He has created and will launch a new academic major in anthrozoology this fall. 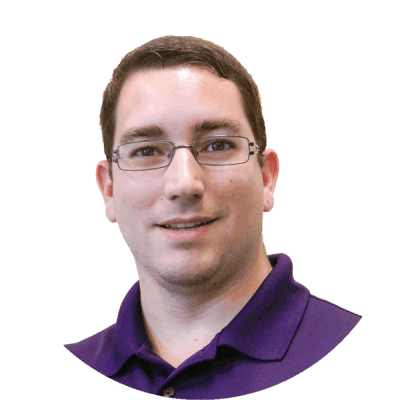 He has written for Human Education Quarterly and is an executive member-at-large for the Association of Professional Humane Educators. He has been quoted this year in PetMD, PetSmart.com, SheKnows.com, and PolicyGenius.com. A crisis within our own dog world and breed circles is rather common: we all love to discuss the future of our favorite breeds and these debates are indeed often constructive. But this time, it exploded above and beyond the dogosphere. Mainstream media outlets, animal rights activists, social media influencers, celebrities; everybody had a say about how sloped that German Shepherd’s back was. Shortly after the outrage bubbled up all over the place, we’ve started hearing voices asking for a plain and simple ban on dog breeds. The idea is to have one canine species, the dog, and several types within it with barriers much blurrier than the current dog breed standards. To many people, especially in the general public, purebred dogs are getting an atrocious reputation that has started with the Bulldog, the Pug, but also got worse when registered Chihuahuas and Pomeranians were bred to the extreme to produce very small dogs. Year after, new breeds are coming to the front of the stage and become yet another example of what pure-breeding has created: unhealthy monsters in adorable dog bodies. Today it is the German Shepherd’s with its sloping back, yesteryear was the Dalmatian with its insoluble urates, and tomorrow will be the purposefully-bred oversized bully dogs. Clearly, official standards and dog breeds are allowing these defects to be accepted, right? Well, it’s more complicated than that. 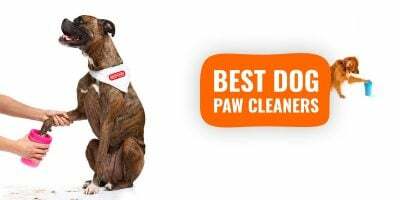 Although we clearly are a platform read by thousands of dog breeders around the world every day, we do not necessarily think breeders are perfect. Far from that! 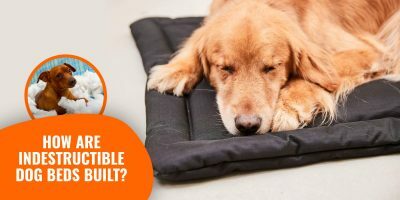 Putting the blame on standards and dog breeds themselves would simply allow dog breeders to dodge any responsibilities they do have in these previously mentioned defects. And the ones to come. 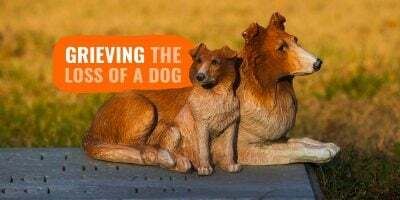 For decades, dog breeders were mating visibly healthy dogs without worrying about what is under the hood: genetics, breed-specific conditions, and structural problems. If a dog was able to hunt, run and play, he was healthy. Times have changed. We now have a wide range of DNA tests, X-ray screenings, and hormonal checks. We all know that a dog may be fine looking yet carry or be affected by a genetic defect that is just a ticking bomb that’s waiting for an opportune moment to explode. This dog would have been bred once upon a time but will be removed from a responsible breeding programme today. Well, that’s in theory. In reality, too many dog breeders do not know or perform their breed-specific health checks and keep on breeding unhealthy dogs. Breeders who do clear their dogs from known medical conditions will produce healthy dogs that conform to the official standard and live long and happy lives. This proves that neither the dog breeds are to be banned nor dog breeding as a whole. There are bad apples within dog breeders and we all need to make sure these bad breeders cannot breed any longer. Kennel clubs and other international authorities should use their leverage to stop the hemorrhage. It may take time, but it is definitely a reasonable and realistic objective. The controversy over the German Shepherd ‘Best of Breed’ winner is based purely on a visual inspection. Without examining the dog properly, who is to say if it has spinal problem, bad hips or any other orthopaedic problems. We’ve spoken to Dr Eloise Bright, a vet with a clear opinion on the matter. She is right, we cannot keep on judging a dog’s health just by looking at it. We all fall too easily into the “It’s clearly obvious that this dog is this or that” category. The evidence that breeding that sloping back conformation makes Shepherds more likely to develop problems later in life is just not there. All we know is that they can get hip dysplasia, they can get degenerative myelopathy and possibly a dog that walks a little funny could have one of these diseases. Hip dysplasia is a painful condition and would certainly be detected on vet checks (which of course the dog had). Breeders are now pretty good at screening their animals for this condition. This dog is pretty young to have degenerative myelopathy, which leads to weakness in the back legs is due to the immune system attacking the spinal cord. So the dog walks a little funny due to its conformation. So do many other breeds. Some have short, stocky legs, some are very straight-legged. This doesn’t mean they can’t exercise, play or have normal lives. We do this dog and it’s breeder a disservice by making assumptions about its health based purely on appearances. Nothing in the German Shepherd’s official standard requires such a sloping back. The topline runs without any visible break from the set on of the neck, over the well defined withers, falling away slightly in a straight line to the gently sloping croup. The back is firm, strong and well muscled. It seems to be a persistent dynamic that has been going on for years with judges favoring these dogs in the show rings and breeders adapting to these requirements. Kennel Club Secretary, Caroline Kisko, said: “It’s disheartening to see one breed looking so very peculiarly out-of-step with the others.” She explained the Kennel Club will look into whether judges were disregarding rules. The short answer is no, this is not going to happen anytime soon. There is too much at stake for any politician or authority to decide on such a significative turn. Furthermore, most pet-friendly people are very attached to a particular dog breed, even those who do not own dogs. A breed is more than just a dog we love, it is a purpose, a physique, a history, a personal story. A mutt, too. There is no vertical superiority between purebred dogs and mutts, there is a simple horizontal difference. With that being said, breed associations and kennel clubs from each country have to ensure breeders follow clear rules: not just physical and behavioral guidelines, but medical and health-related ones. In other words, the standard of each breed should be altered to require a specific set of health checks before any registration or mating can be approved. It already happens in many regional and national dog shows, it has to happen for each and every dog registration if we want to start solving the problem at scale.